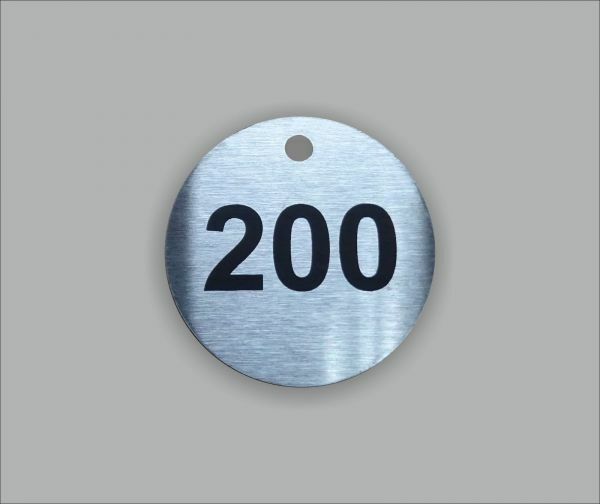 Industrial Valve Labels (or commonly referred to as Valve Tags or Valve Discs) in a marine grade (316) stainless steel with a dull polished finish (DP1). Supplied 30mm dia x 1.0mm, suitable for many applications in industry and engineering. Each disc is engraved using the latest laser technology that burns the surface of the steel to leave a durable mat black letter. 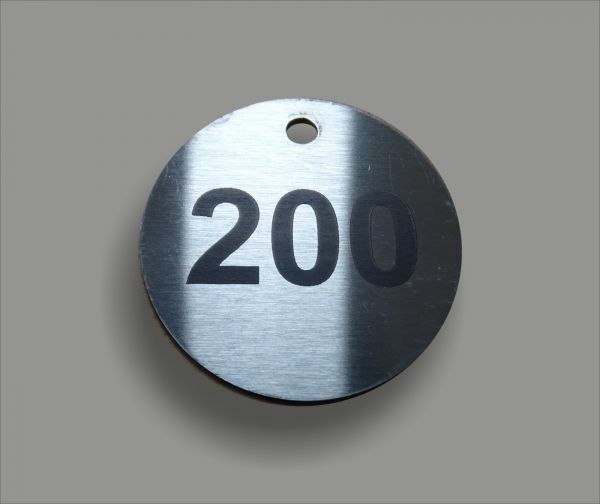 Engraving details can be submitted by keying the text at step 2 or uploading a spreadsheet/doc file at step 3. please note maximum of two lines of text, with up to 8 characters per line. 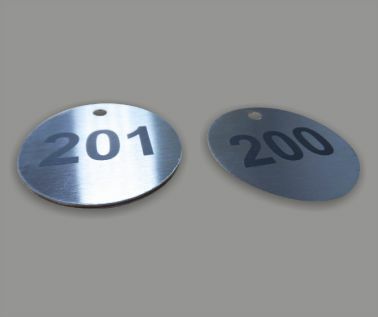 Stainless Steel Valve Tags come complete with 1 x 3.5mm hole.